The first time we [Caleys] had any contact with the Duncans, we were living at 222 Stanley Avenue, Manoa, Pennsylvania. I lived there with my family. We had five children. They lived not far away. We were sitting out on the front steps, and this lady with a baby carriage came by. That was Mrs. Duncan with Lee [b. 26 Oct 1927] walking along. Probably Bob [b. 13 Nov 1933] in the carriage. I can’t really remember how old I was but probably between four and eight. 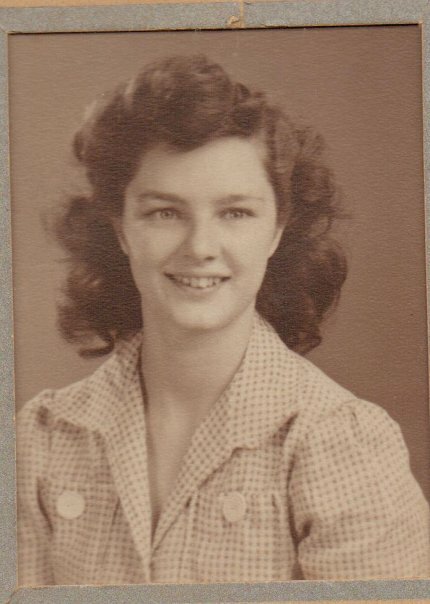 I was born January 16, 1928. Lee is a couple of years older than I. I believe that’s how my mother met the Duncan family. The next time I remember the Duncans, I was a teenager. My father said, “I’d like to take you to the church where they were having a Christmas program.” Lee Duncan played the part of Mary. It was a liberal Baptist church. We went to Aldan Union Church in Aldan, Pennsylvania. My father was interested in getting the Duncan family to come to Aldan Union. They came to Aldan Union. I think was in high school. I attended Yeadon High School. 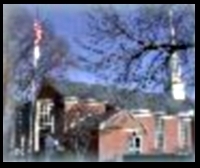 The Duncan kids went to school in Drexel, Pennsylvania. Upper Darby High School, I think. Lee would know. We didn’t play them in sports. We were in youth group together at Aldan Union Church. Wally was younger [b. 9 May 1929]. He was not in the youth group that Lee and I were in. I don’t know if Lee was interested in me, but she was the first girl I was interested in. She was pretty, about my age, a Christian. We did things together because the youth group did things. My mother was part of the contact with the Duncans. She invited Mrs. Duncan to a women’s Bible study. It was taught by a lady in Aldan Union. She came. In fact if I remember correctly, they [eventually] met in the Duncan home at Riverview when an additional Bible study began. It was a beautiful big home in the Drexel Hill section of Upper Darby [325 Riverview Cove, Drexel Hill, PA 19026]. *NB: Wendell Caley was born in January of 1928. If Bob was the baby in the carriage, then it was 1934 or later since Bob was born in November of 1933. (I doubt they were perambulating in the dead of winter with a one-month-old). That would mean Wendell was probably five or six and Lee was seven or eight when the Duncans first met the Caleys. Do you remember this story? What other details can you add? Does Lee recall Wendell being sweet on her? Can Lee tell about her own experiences of youth group at Aldan Union? Is there anything you want to add about going to high school at Upper Darby High School? This entry was posted in Bob, Lee, Wally and tagged 1934, Aldan Union Church, Drexel Hill, Upper Darby High School, Wendell Caley on March 27, 2014 by Dawn Duncan Harrell. My [Wendell Caley’s] father was driving a 1936 Packard eight-passenger with fold-down seats behind the front seat. We had five kids so we needed a big car. 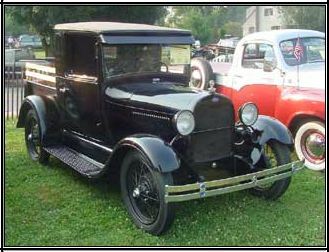 When I was 16, I started driving and I was driving a 1933 Chevy for not much money. He gave it to my brother Paul and me when we were just 12 and 13 years old. We took the car apart and then rebuilt the engine. 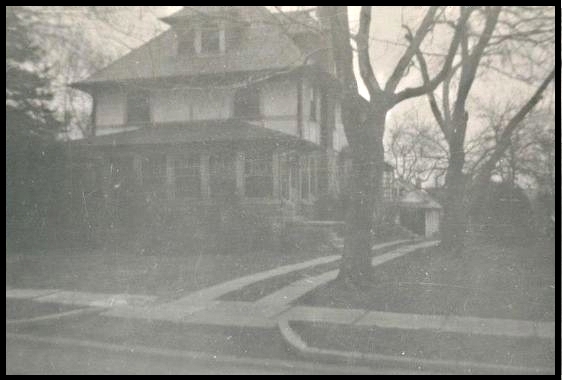 We were living at 100 Fairview, Yeadon, Pennsylvania (19050) and we had a big yard, so we’d drive the car around it. I eventually registered the car. 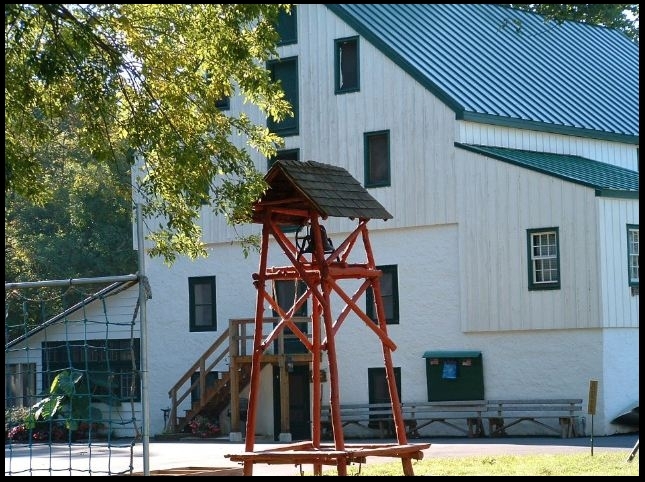 Our family had been sent to Camp Sankanac [68 Bertolet School Road, Spring City, PA 19475], near Pughtown, Pennsylvania. One of the men, Vaughn Smith, at Aldan Union Church was director of the boys’ camp. I think I was 16 when Wally and I were both counselors there. They had an old, maybe 1928 or 1930, Ford truck that had been sitting there for years. It had no registration on it. Wally saw this old Ford truck and wanted it. And I don’t remember whether he paid for it or just took it. I towed that car from Sankanac to the Duncans’ home with my ‘33 Chevy. I can remember driving along those narrow Pennsylvania roads, with a creek on the left side and a gully on the right, and looking in the rearview mirror to see Wally’s terrified face. I was going too fast. Thankfully, there was no mishap. Wally got the car home to Riverview [325 Riverview Cove, Drexel Hill, PA 19026] and he drove it around Drexel Hill with no registration. He had to get it running first. After he got it running, he was arrested by the police. As I recall, he was not yet 16. * The truck was brought back to the Duncan home and he was reprimanded severely by the police and by his father. I did help him work on it, but I don’t think he repainted it. Painting in those days was very tedious: paint brush and paint can. Wally came over to my house in Yeadon and he was helping me work on the ’33 Chevy. He was using an old-fashioned pump. He was pumping the tire up on my car or my bicycle. His hand came down quickly and the tube cut his hand. It was a pretty bad cut, but I don’t remember if we took him to the local hospital, which was Mercy Fitzgerald Hospital, near where I lived. He could bike over to our house. And I would bike to his house, too. It was quite a trip. We lived 6, 7, 8 miles apart. We took busses also. *NB: Wendell Caley was born in January of 1928. If he was 16 in this story, then it was 1944. Wally was born in May of 1929, so he would have been 15. Does anyone have a photo of the actual car? Is there a photo of Wally around 1944 that we could use? Do you have stories about your own or your parent’s time at Camp Sankanac as a camper or counselor? Can you contribute any pictures of Sankanac that are period of close to it? Dad, can you tell the story of Wally spray-painting the car by attaching the vacuum hose to the opposite end of the vacuum? 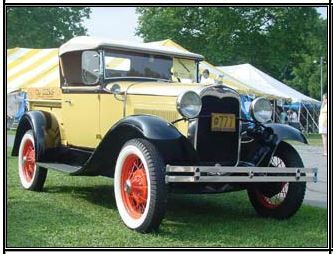 This entry was posted in Wally and tagged 1928 Ford, 1930 Ford, 1944, Aldan Union Church, Camp Sankanac, Dawn Harrell, Drexell Hill, Wendell Caley on May 1, 2013 by Dawn Duncan Harrell. This was in Washington. We went to Washington DC then, where Daddy had a job. He was an auditor, an accountant with the Mayflower Hotel in Washington DC. He was considered a top-notch accountant. He was a CPA in the state of Pennsylvania and in the state of New York and in the state of . . . ah . . .
[Barbara]: Go ahead. In the state of? In where? In Philadelphia, New York, and in Washington. He had a CPA. He was a very smart man. [Barbara]: You’re doing all the talking on this tape. I’m wondering how long your voice is going to hold out almost single-handedly in this conversation. You’re doing all the talking with a few interruptions. I was married in June. June? July? July I guess [July 25/26, 1925]. I became pregnant about six months later than that. We went up to Connecticut to my mother’s house. That’s where I had the baby. Lee was born in Connecticut [b. October 26, 1927]. No. I went to the hospital. That was the only baby I had in the hospital. [Barbara]: Is that right? OK.
All the rest, I had them at home. I went to the hospital. I didn’t have much trouble. I was 26 years old, you know, so I guess I was young enough and strong enough that I. . . . ‘Course it was not easy. No birth is easy. I don’t have to tell you that. [Barbara]: So you named her? I named her Virginia Lee. Well, her father named her. He liked, he loved Lee. He loved General Lee, so he wanted to name her Lee after General Lee. [Barbara]: Well that’s a very interesting bit of information. I just found out on your last trip here. Because we have a Barbie Lee [b. May 30, 1976; daughter of Wally]. And of course, let’s see, the new baby in Bob’s family is Jessica Lee [b. July 2, 1987; granddaughter of Bob]. And I’m sure there are other Lees. But I never realized that the derivative of that was. . . .
You did name her after my Virginia Lee? [Barbara]: Yeah, we did. We thought it was a nice-sounding name, but primarily it was because we had an Aunt Lee that we really loved. But it’s interesting that where it really came from was General Lee and I never knew that. Then we went back to Philadelphia to live and we lived in what is known as Chester Avenue in Philadelphia. Out, you know, out . . . in Philadelphia. After that we moved to Menoa in Philadelphia. And from Menoa, we . . . then the war came along again. See this was the next World War. Daddy went back into the service. . . .
[Barbara]: Well wait a minute, back to Philadelphia because I know Wally was born in Haverford. [Barbara]: So it was in that time that you were in Philadelphia that you went from Connecticut with Lee and then to Philadelphia. I went back and forth. We went back and forth. We moved two or three times. [Barbara]: But now Wally was born how many months later? Eighteen months later, I think you told me. Well, first Lee was born, you know. She’s the oldest. Then Wally [b. May 9, 1929]. They were all born in Menoa. [Barbara]: Oh, Menoa! At home this time, though. At home, yeah. And then Betty was born in Menoa. Then we went to Drexel Hill. [Barbara]: What was the address there? [325 Riverview Cove, Drexel Hill, PA]. [Barbara]: You can’t remember. We tried the other day to figure that out. I could take you to it, but I do not remember what that. . . . I think Wally asked me that the other day. [Barbara]: Yeah, we had met that gentleman. I cannot remember. I know that it was in Drexel Hill. In the meantime, you know, I had met Mrs. Caley of the Caleys. Wendell and all of that Caley family and Wally were very friendly. She was the one that introduced me to the Aldan Union Church [7 East Providence Road, Aldan, PA 19018]. We didn’t go to that Wayland Baptist Church [11603 South Wayland Road, Meadville, PA 16335] very long because we moved away, see? So then I went to the Aldan Union Church and that is where we really found the Lord, you know. I can’t remember exactly, but I do think that that’s where I was saved. It was in the Aldan Union Church. [Barbara]: That’s a story, yeah. Mrs. Caley worked on you for a time, didn’t she? Oh, yeah, she worked. Every time I’d come out the door, it seemed like she was standing there waiting for me because she kept wanting me to go over to that church. Before that, you know, my husband was a Baptist and he wanted me to go to the Baptist church. Well, I went to the Baptist church but it was so uninteresting to me. It was so cold in that church as far as people were concerned. [Barbara]: Now by this time, you had a growing family. You had what, three children? Four children? [Barbara]: You had four children. Anyway, we all went over to the U and I never was sorry. That was the most glorious church. That’s really where I found the lord in all his glory. I tell you I almost lived in that church. It was because my husband was away, you know. [Barbara]: Tell me how you met the Lord. You probably want to put that down. That’s probably one of the best stories you have. How I met the Lord? Well, he gave the invitation. We went into the Sunday; no, it was the daily vacation Bible school. We were all assembled together in this outer room. He said, “Is there anybody would like to give their heart to the Lord?” or something. I don’t know how he put it. Anyway, I was so thrilled. I can never tell you the way the Lord spoke to me about becoming his child. Here I thought I’d been saved many times before. In Washington and so on, I went to the church. Many times I thought I was accepting him, but this was a real acceptance under Mr. Dean. His name was Mr. William Allan Dean. He gave this invitation: “Wouldn’t you like to accept the Lord as your savior?” I raised my hand and almost in a trance, I walked forward. I just took more courage than you have any idea. Here I was an old Episcopalian. They don’t do it that way, you know. When you got to be twelve years old, you got confirmed and that’s when you really was supposed to accept the Lord. Anyway, that was the beginning of my interest. I always say I have to thank Mrs. Nell Caley for my salvation. She never left me alone. She was bound I was going to go over to that church. The funny part of it was they didn’t stay in that church very long themselves. They left me there, not having her to talk to me or anything. I just considered that the Lord called me and I accepted him wholeheartedly at that time. So that was the beginning of my interest in things Christian. [Barbara]: Now the Caleys were still in Philadelphia. They didn’t move away, did they? They lived in Philadelphia, but they were the kind of people that were always having some kind of an altercation with somebody, you know. If you knew Mrs. Caley, . . . did you ever meet her? She’s a redhead. I love her to death because she really was the one that introduced me to the Lord. But she is not easy to get along with. [Barbara]: Oh, so they stayed in the neighborhood, but they just left the church. [Barbara]: Because I know Wally has a lot of nice stories about growing up with them. Yeah. That is a good family, beautiful family. Not the father. • Who else bears the “Lee” in their names? Virginia? Anyone else? What do you recall of being given that name? • Virginia says that she was pregnant with Lee six months after their marriage, but that would have Lee born in October of 1926, not 1927. Also, I have two different days for Virginia’s marriage, though I believe 7/26 to be accurate. Can someone confirm Taylor and Virginia’s marriage date and someone confirm Lee’s birthdate, just so I can be sure? Thanks. • Did you ever meet Mrs. Caley? Dad? Betty? Lee? What do you recall of her demeanor? • Do you recall the circumstances of the Caley’s leaving Alden Union Church? • Virginia ends on an ominous note about Mr. Caley. What do you recall of him? This entry was posted in Lee, Virginia, Wally and tagged 1925, 1927, 1929, Aldan Union Church, Barbara Duncan, Barbie Duncan, Caleys, Chester Avenue, Drexel Hill, Jessica Duncan, Mayflower Hotel, Menoa, Philadelphia, Washington DC, Wayland Baptist Church on March 13, 2013 by Dawn Duncan Harrell. Wally sneaked in the stage door of the Word of Life conference because he couldn’t get in the regular way. After the collection, the ushers brought the plates forward and put the plates in his hand. This may have taken place at Mechanics Hall in Boston. Wally came to faith in his later teens. We were at Alden Union Church and Rev. William Allan Dean was the minister. That’s where I came to know the Lord in my teen years. I remember the place in the church where we sat. I didn’t go forward because we didn’t do that in those days. My faith grew in a slow progression throughout those years. There were certain times when we emphasized coming to know the Lord. Youth group met on Saturday night and I just grew in the Lord at that time. 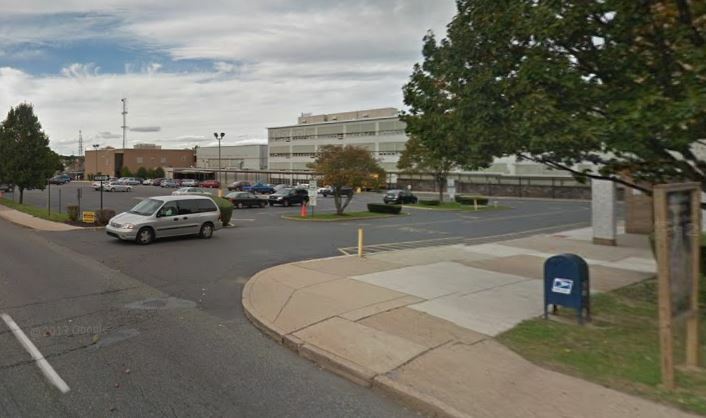 I graduated from Upper Darby High School in 1945. Mother [Virginia] never had a real personal relationship until we went to Alden Union Church. She grew up Episcopal. The Bible study Wendell mentioned met on the sun porch; it had windows all around but it was closed in. There were maybe twenty to thirty women there. Dad [Taylor] went to Alden Union because it was a Baptist church, but he never had a real close walk with God. He was definitely in favor of faithful church-going. When Jack Wyrtzen was in Boston, we would go down to his campaign. Wally sneaked in back door because he didn’t get there on time. As he came in, they handed him the plates to take up the money. He passed the plates. I think I was looking for him. I got into the wrong area and then in to the men’s room. It was such a confusing place. 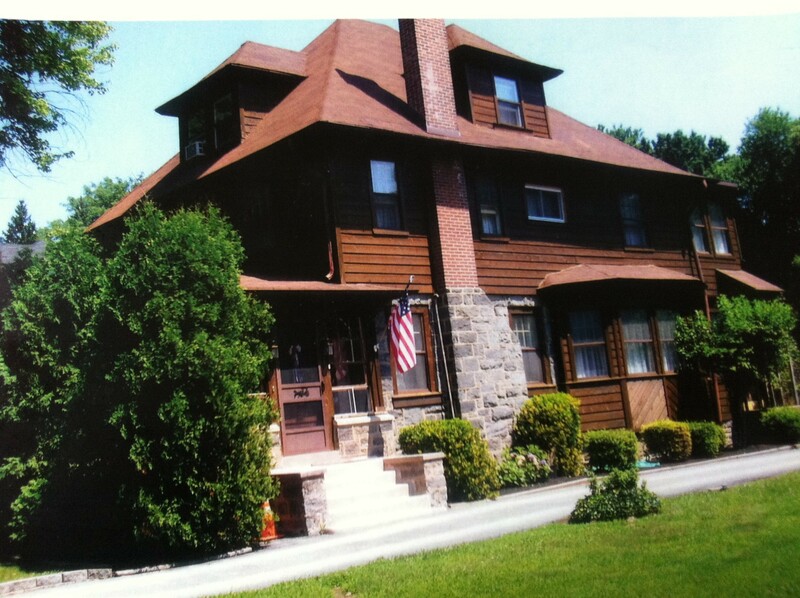 The first time we had any contact with the Duncans, we lived at 222 Stanley Avenue, in Menoa, Pennsylvania. I lived there with my family. We had five children. The Duncans lived not far away at 325 Riverview Cove, Drexel Hill, Pennsylvania. We were sitting out on the front steps, and this lady with a baby carriage came by. That was Mrs. [Virginia] Duncan with Lee walking along. It was probably Bob [b. 1933] in the carriage. I can’t really remember how old I was but probably between four and eight years old [Wendell was born in 1928, so this was ca. 1932–1936]. I believe that’s how my mother met the Duncan family. Next time I remember the Duncans, I was a teenager. My father said, “I’d like to take you to the church where they were having a Christmas program.” Lee Duncan played the part of Mary. It was a liberal Baptist church. 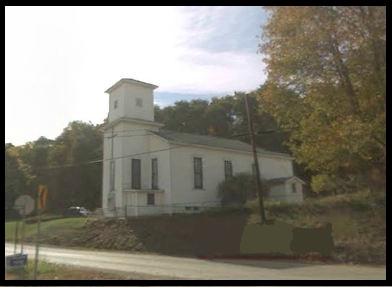 We went to Aldan Union Church in Aldan, Pennsylvania and my father was interest in getting the Duncan family to come to Aldan Union. William Allan Dean was the pastor at Aldan Union. It was an independent denomination. The original church building still exists. They came. My mother was part of the contact with the Duncans. She invited Mrs. [Virginia] Duncan to a women’s Bible study. It was taught by a lady at Aldan Union. She came. In fact if I remember correctly, they met in the Duncan home, a beautiful big home in the Drexel Hill section of Upper Darby, Pennsylvania. I think I was in high school. We were in youth group together at Aldan Union Church. Lee [b. 1927] was older than I. Wally [b. 1929] was younger. He was not in the youth group Lee and I were in. When I visited him a few weeks ago [Fall 2006], Wally told me that he made a decision to accept Christ as a young teen, as did his sister, Lee. Their mother [Virginia] took notice of the “change” in their lives, explored the reason, and then made a decision to follow Christ herself. Grandpa [Wally] credits her strength of character and commitment to Christ as the reasons that the rest of the family took seriously the invitation to follow Christ. His mother taught the adult Sunday school class at Park Street Church in Boston for many years. So there is much in our heritage for which to be grateful. Wally describes the one year anniversary of Pearl Harbor as the most wonderful day of his life. On December 7, 1942, Wally (age 13) accepted Jesus as his personal savior. It became the most defining moment of his life. He knew that he was a new creature, a child of God, never to be snatched out of His hands. He had gone to a Jack Wyrtzen [a founder of Word of Life Fellowship and inspiration for Youth for Christ] rally in Boston and at the end there was an altar call for those who wished to announce that they had personally accepted the grace offered at the cross. Wally was too embarrassed to go forward. He waited until the rally was over and the auditorium had cleared out. He went backstage and saw the evangelist packing up his briefcase. “That is wonderful, young man.” Mr. Wyrzten replied. He sat down and spoke with the young boy who realized he needed a savior. The two prayed together. Wally was so excited; he told me he ran along the railroad tracks as fast as he could all the way home. He never lost the thrill of reliving that wonderful moment. He never doubted again that he wouldn’t see his Father in heaven one day and meet Jesus face to face. Indeed, when he died on November 7, 2006, he died with the blessed assurance that he was going to meet his savior. Do you remember this story? What other details can you add? I’d love to have a fuller telling of this movement in the family history. It seems pivotal. This may come up in the interview with Grandma Virginia, but can anyone tell the story of her decision to know Christ on a deeper level? Lee, do you recall this rally? Did you attend? Can you talk about your own experience of trusting Christ? I have a family calendar that someone put together, which says, “Grandpa Taylor Duncan was in the Navy and was assigned in Philadelphia during WWII. Wally spent his freshman and senior years in Newton, Mass. ; his sophomore and junior year of high school here [Drexel Hill].” Can anybody (Lee or Betty) talk further about those moves back and forth and their impact on the family? I guess the family lived in this house between 1944 and 1945. Can anyone confirm or modify this guess? The house-photo I’ve included is a photo of a photo from the family calendar. Who put this calendar together? Are the photos in digital format? Can you send me to that link or email them to me? Thanks. This entry was posted in Bob, Lee, Virginia, Wally and tagged 1942, Aldan Union Church, Barbara Duncan, Dawn Harrell, Jack Wyrtzen, Jim Duncan, Park Street Church, Pearl Harbor, Wendell Caley, Word of Life Fellowship, World War II, Youth for Christ on January 30, 2013 by Dawn Duncan Harrell.